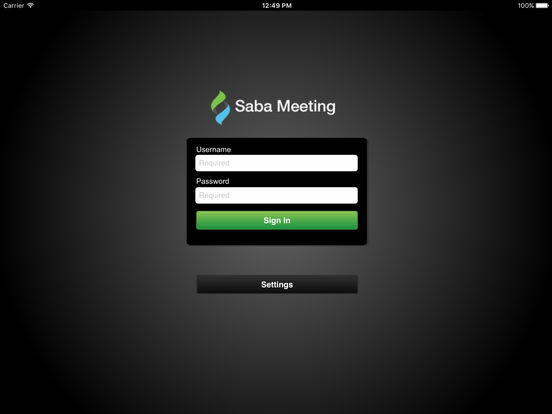 Download the free Saba Meeting mobile app to join or host eMeetings, Virtual Classes, or Webinars right from your iPhone or iPad! 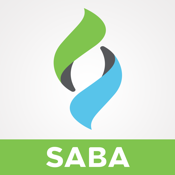 Saba Meeting has the most intuitive and interactive user interface in the industry. It meets enterprise security requirements and has a ten year track record of reliability and scalability. - Join a secure (SSL enabled) or regular virtual sessions on the go with just an email invitation link. No username or meeting number is required. - As a registered user, schedule or start ad-hoc sessions, and view existing sessions. 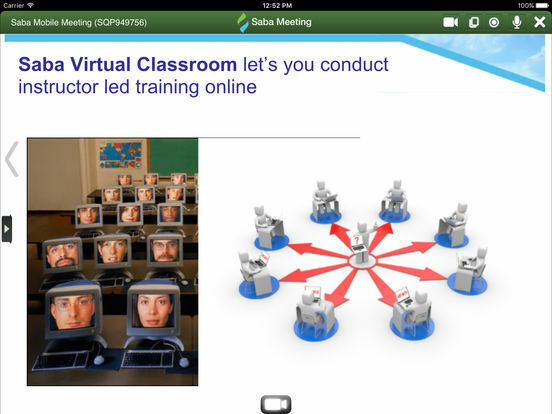 - Interact with other participants by using VOIP or cellular audio, video conferencing, text chat, and emoticons. - View the meeting content including slides, images, whiteboard and high-quality screen share initiated by the presenters. 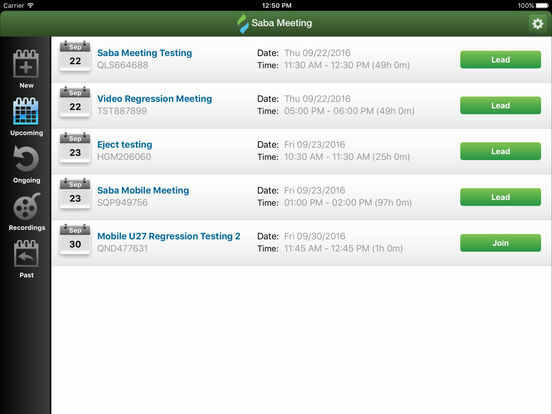 - Present an event using agenda slides. - View and playback past recordings. 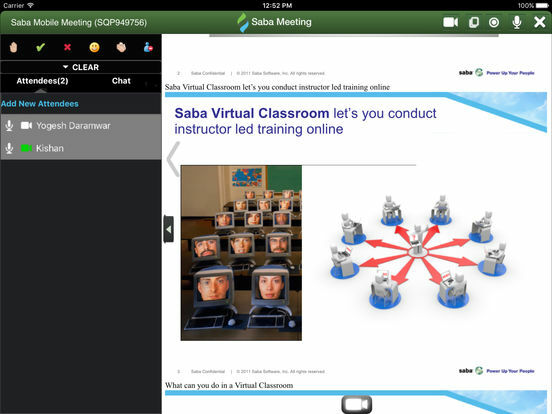 Take the step up into Enterprise Class Web Conferencing with Saba Meeting, the solution that Business Professionals and Educators depend on.